No childhood is complete without a few rounds of hopscotch now and then. Sure, it’s a little outdated to most kids today, but it’s still a well loved classic. 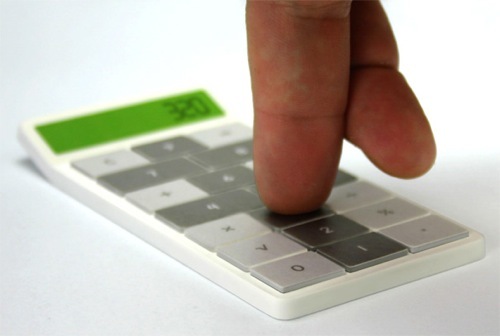 For those of you that miss the days of hopping around on those little squares, you might like this new calculator. It shows the world that although you’re a responsible adult now, but you once were a child who was perfectly content with nothing more than hopscotch. The numbers on the calculator are really nothing special, it’s how the calculator is laid out that makes it interesting. Part of the keys are lightly colored and the numbers themselves have a dark gray color. The darker keys make the calculator look like it has a miniature hopscotch game already going. Now instead of just punching in calculations, you can play hopscotch with your fingertips. Currently the design by Vadim Klbardin is in the search for manufacturers, so right now it’s not available. Build Your Own Roller Coaster, COOOOLLLL!